They’re some of Seattle’s most noteworthy traits. But the way Burak Toksoz sees it, they’re similarities that the Emerald City shares with the city he hails from. He and his wife Serap would know better than most. For almost two decades, the husband-and-wife pairing frequently visited the Emerald City as residents of Turkey’s largest metropolis, before making Seattle their full-time home earlier this year. 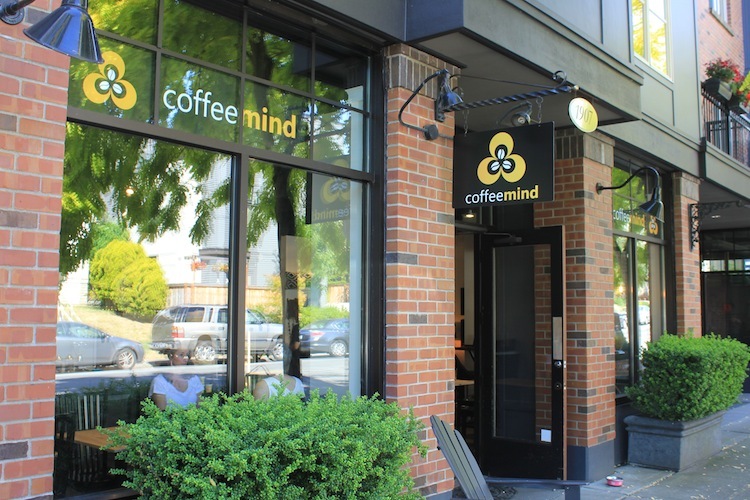 The duo recently opened Coffeemind at 1907 10th Ave. W, with a modest, carefully curated selection of coffees, teas, and pastries. While some things are true to what you would find in Turkey — the Turkish coffee, for instance — others aren’t quite the same offerings. “We adjusted them to American tastes, so it’s a fusion,” Burak said. For the Toksoz family, the decision to relocate to Seattle sprouted from several different factors. Serap’s sister already works in Western Washington — and is the reason they would visit year after year. Meanwhile, their son is 16, and they felt it would be best if he attended his final years of high school in the U.S. before heading to college. But it wasn’t necessarily an easy decision to chart a new course stateside. “We did a crazy thing,” Serap said. But beyond the familial ties, Burak and Serap were also ready to start their own business. Burak had previously been a business management consultant, while Serap was in the hospitality industry back in Turkey. Once they arrived in Seattle, and began searching for the right storefront, the hope was to find a location that allowed them to seamlessly integrate into the community. After the lease was signed in mid-April, the renovation work to get the shop ready didn’t take long. After years of planning, documenting what they liked and didn’t like about each café they visited, they knew exactly what they wanted theirs to be. “Before we rented this space, everything was ready, in my mind,” Serap said. As for opening a cafe? When it comes to coffee, Burak said, Seattle and Portland are at the heart of the industry, making the Pacific Northwest the place to be to establish a top-notch shop. But to refer to the space as just a coffee shop wouldn’t quite do it justice. Along with the food and drink offerings, the shop also doubles as a boutique, selling plates, bowls, and other household goods directly from Istanbul’s Grand Bazaar, along with handmade pillows and throws. But beyond what they offer, he said, they also pay careful attention to the presentation. Not that the attention to detail is a drag. They also keep a close eye on the reviews they get online. “It’s like small kids waiting for a holiday,” he said. While the shop has only been open for a couple of months, Burak said business has been in line with, if not a bit above, their expectations. The neighborhood has been supportive, along with the local Turkish community as well, he said. And the similarities that Seattle shares with Istanbul have certainly helped with the transition.